SeeScore will display your MusicXML score on your iPad, and accompany you and autoscroll while you play. 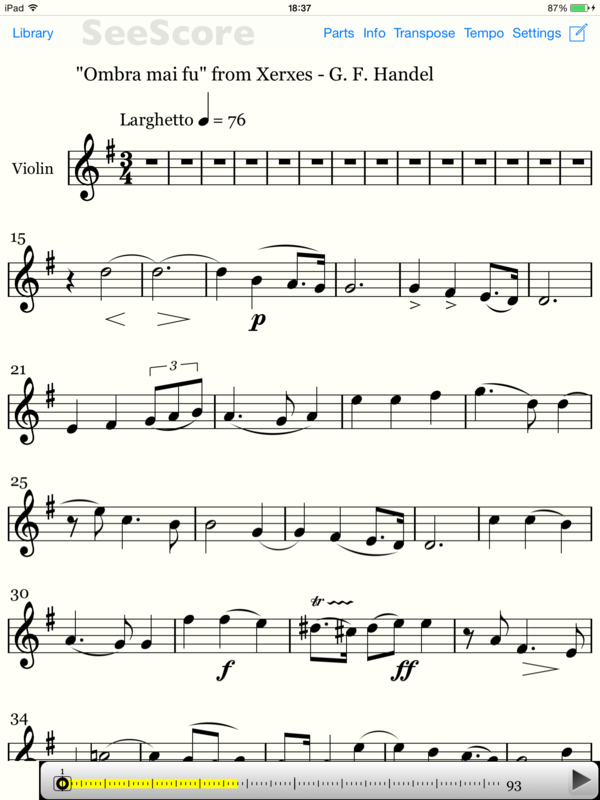 You can resize the score and hide other parts. A metronome is also included. 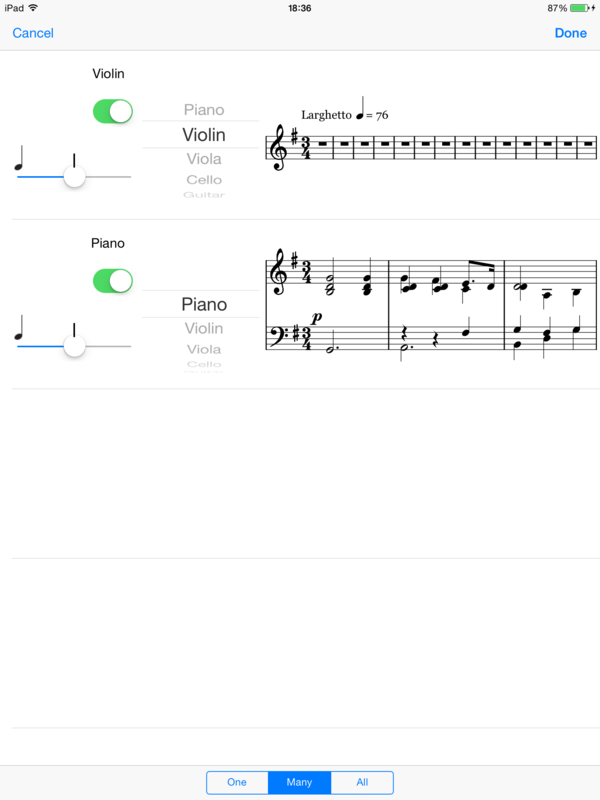 Display and play MusicXML scores in your own app, simply by linking to our library. Download the evaluation SDK and explore the rich API. SeeScore is an iPad app which gives you the control to display your music as you want to see it. You can resize the score and it will reflow to fit the screen. 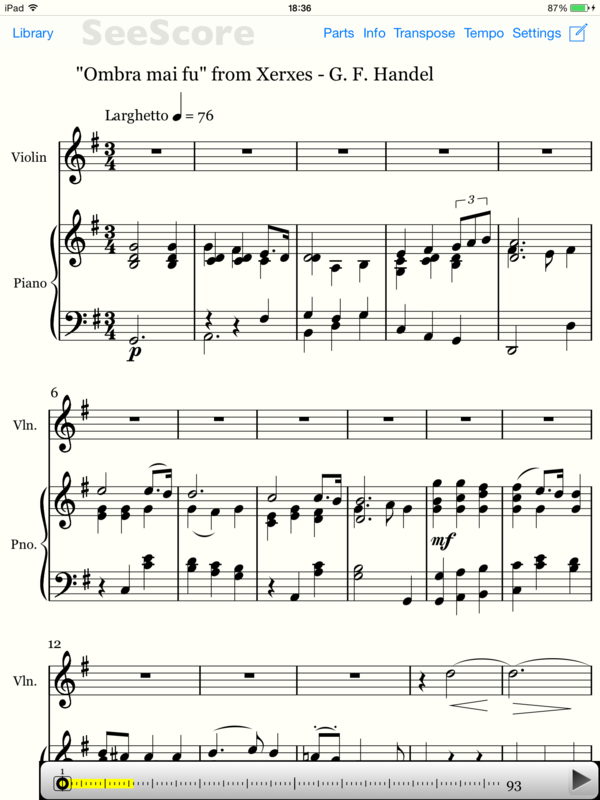 You can choose which parts you want to see, and which parts you want SeeScore to play for you. 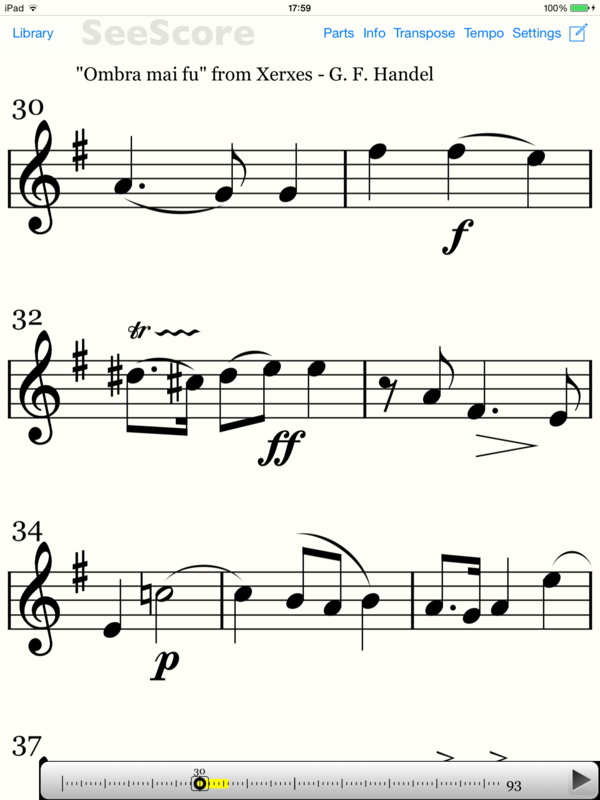 While SeeScore accompanies you it scrolls the music, and it can play a metronome tick too. 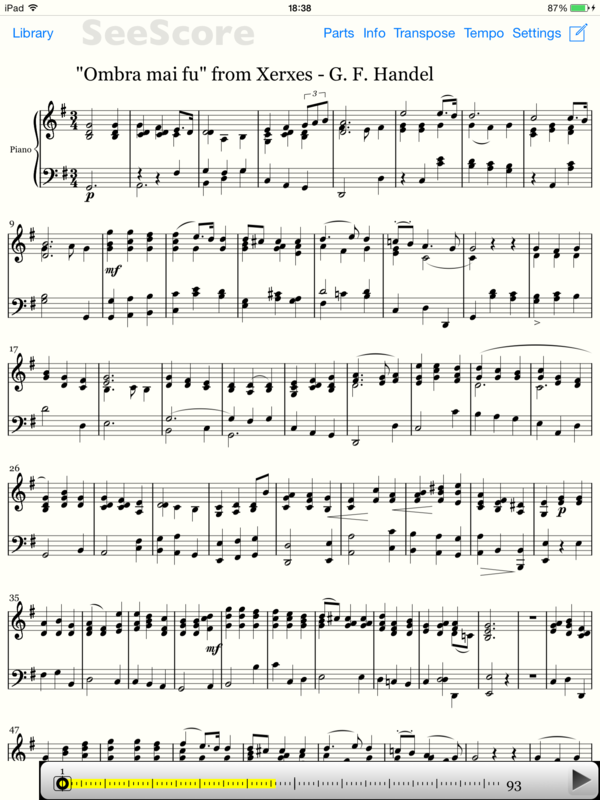 You can even transpose the score in a jiffy! The SeeScore SDK allows you to display and process MusicXML in your app. A rich API is provided so your app can get information about the graphical elements in the score and MIDI style play information. It is available on a number of platforms and the evaluation SDK which includes all features can be freely downloaded.